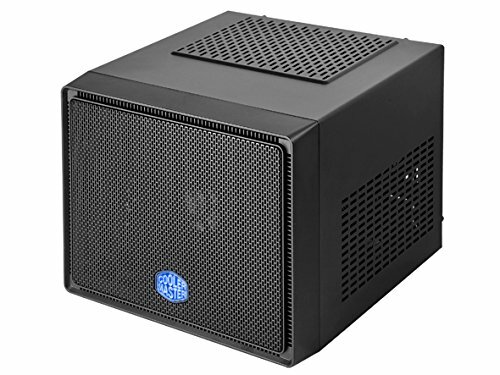 My favorite ITX Cube case EVAR! 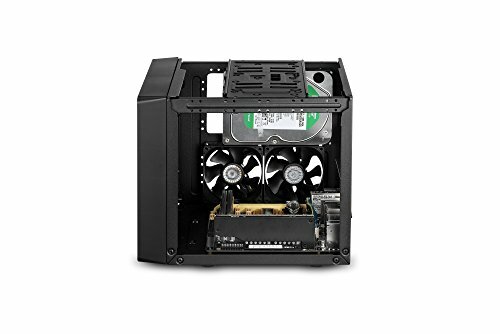 I have built 4 computers using this case and each time I love it. 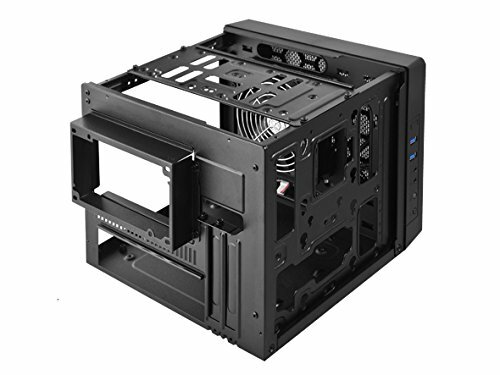 It doesn't hold the bigger cards, but with the growing popularity of ITX cases, card manufacturers are shrinking down the big cards and they fit in this case. 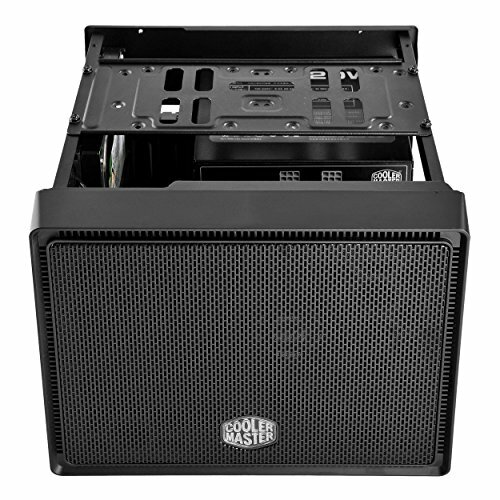 Word of advice...Modular PSUs make this case a dream to build in...other wise be prepared for a ziptied hunk of cords. Absolutely unbeatable for the price. 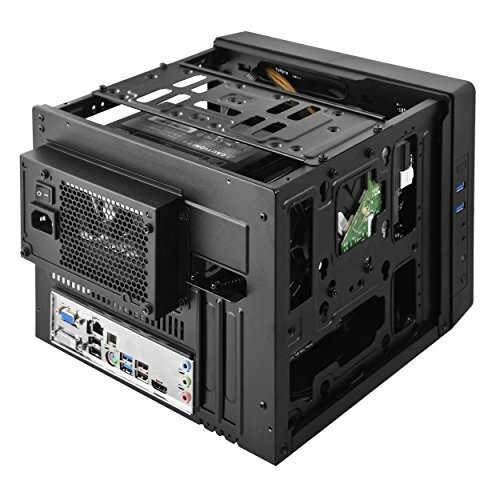 I wanted a small, cheap Mini ITX case and this is just perfect. 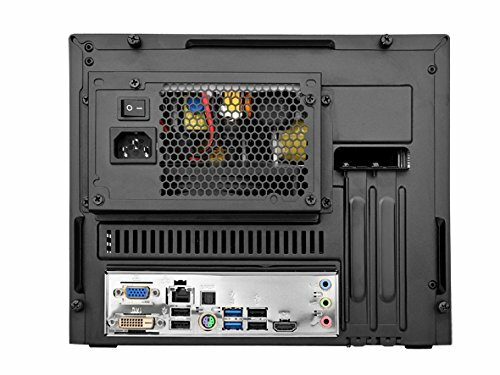 Being able to use full size ATX PSUs is a huge plus for the price factor, and the cooling actually seems quite adequate for a case of this caliber. 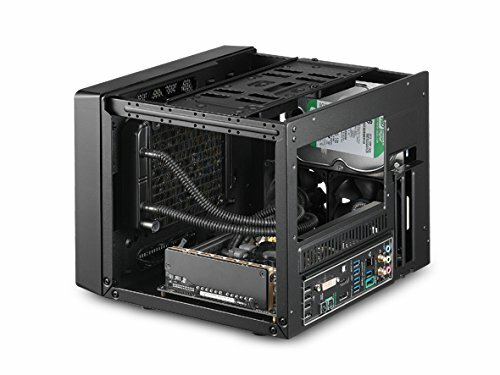 Not a lot of room to cram cables around, but that's a trade off with such a small case. 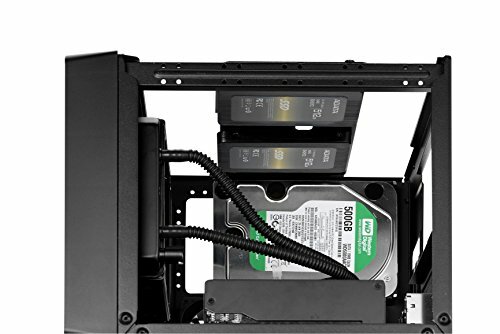 It can fit 2 full 3.5" drives as well as an additional 2 SSDs which is great as well. Very efficient use of the small space, and I am very satisfied with this case. 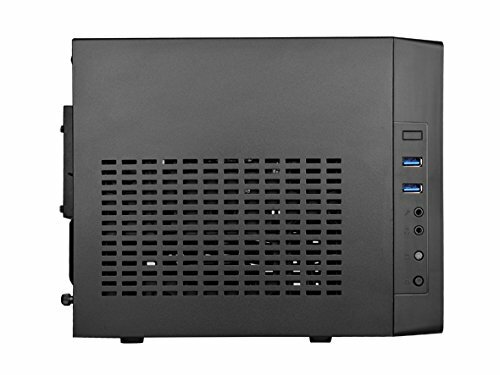 Would recommend, especially for the price if you're looking for a small, basic Mini ITX case. 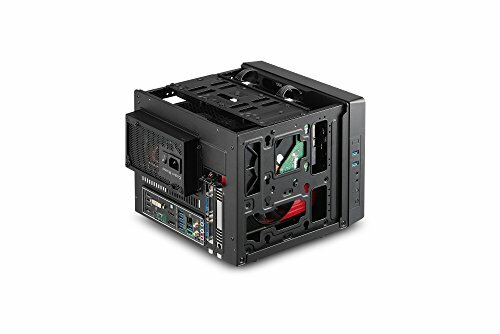 Great case, a little cramped but it's mITX so what'd you expect? The front panel isn't held on very well. The plastic prongs holding it in place broke for me very soon. Arguably though, it was in a suitcase for several cross country trips. Overall great value for price. Wow, this thing is small! The graphics card barely fits in the space it has. It can get cramped in there but that's the price you pay for this size. 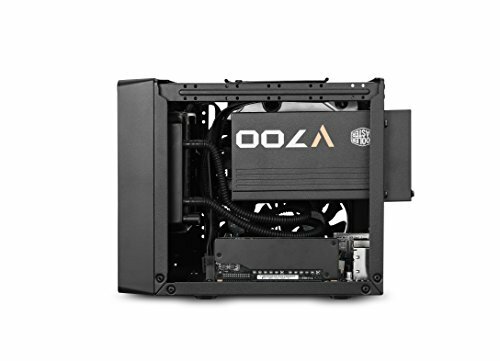 Wicked small and supports standard ATX power supplies. Spend the extra to get a modeler supply. Solidly built but a little hard to work with. I love how tiny this little box is, i can carry it around easily if any lan parties happen or if i ever need to take it to a friends house. I had no problems with installing and mounting everything, super easy to do. The single thing that drove every other part of this build. I spent quite a while showing her different cases and this was the only one she liked the most. The rest were just meh, but this one appealed for it’s small size and great visual appearance. For the price, this case is amazing. 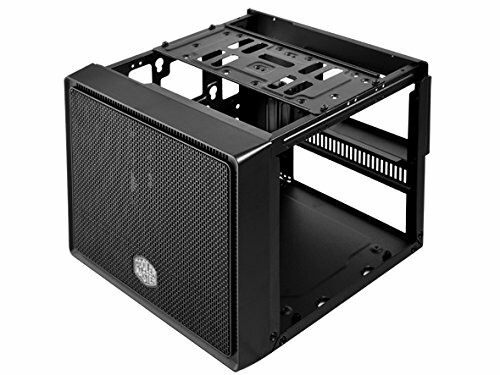 Whether you are just doing a basic build, or something more advanced, the case will more than likely give you what you want. Preplanning is required!! 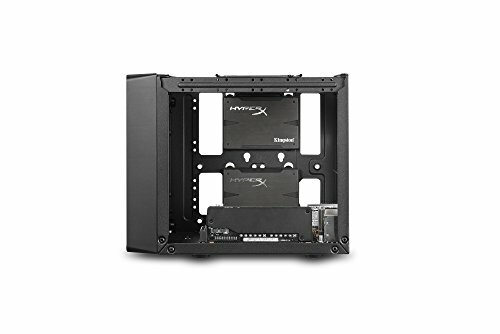 I know this is always necessary for ITX builds in general, but everything in this case is so tight that research is necessary to avoid misery and disappointment on build day. 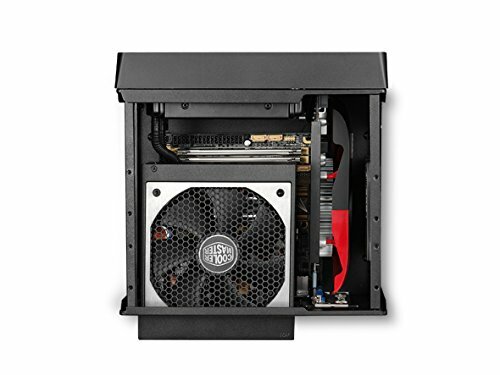 Even though it only comes with a single 120mm fan, for this case that feels like a 200mm fan, because of how small the area inside is.